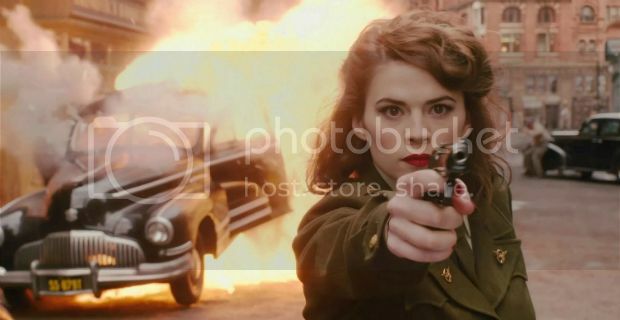 Agent Carter I Spy #1: I spy something...kickass! I thought this thread would be appropriate for this board! I never played this before How does it work exactly ? Someone posts a picture of something related to the show (actor, character, scene, etc.) and picks something that's a common color in that pic, and the other posters have to guess what's in the picture that's that color. Peggy's eye make up ? Okay... maybe the rubber of the tires? It's not the tires. I meant getting closer that it's close to the tires on the car.